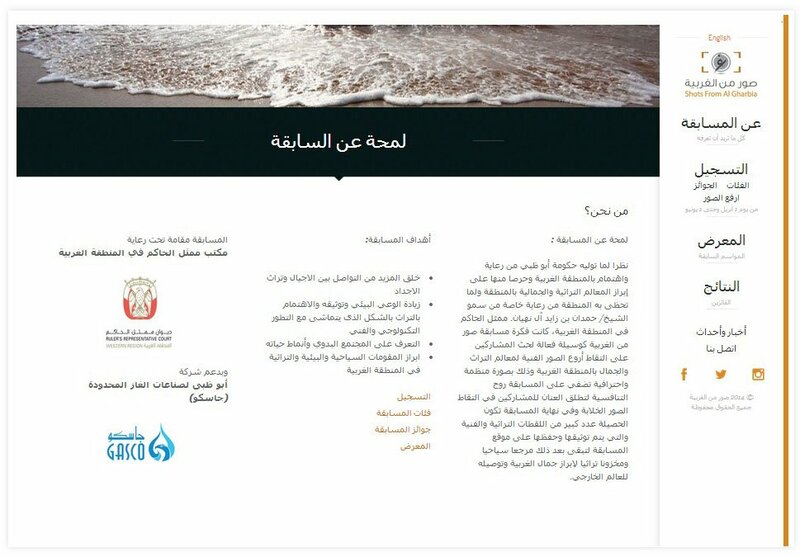 Designing and creating the "Shots from Al Gharbia" website was something truly unique. 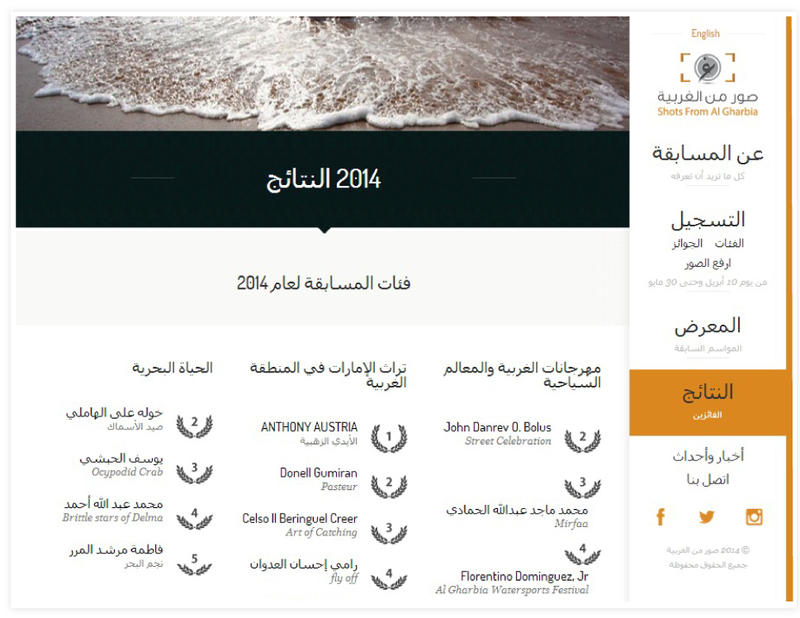 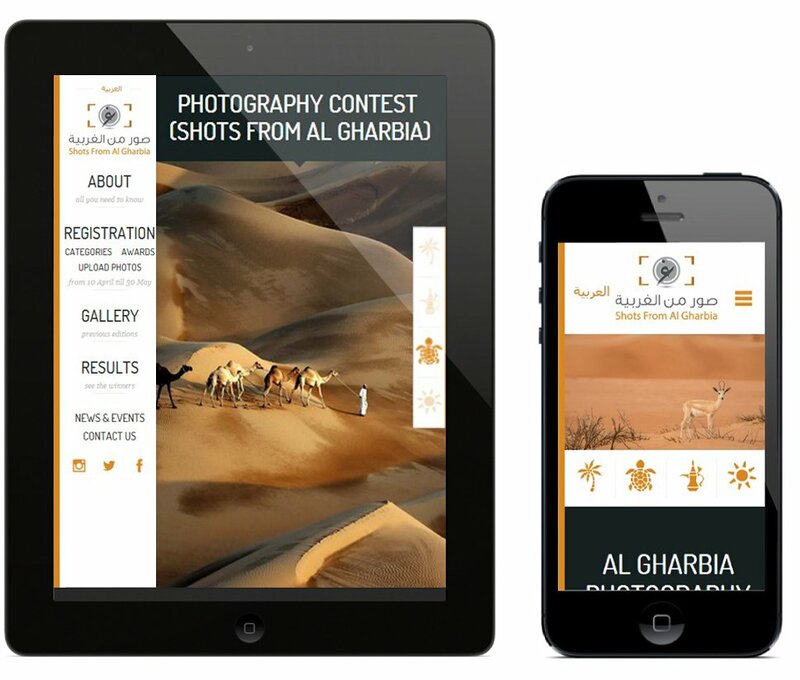 Shots from Al Gharbia is one of the biggest photography contests in Abu Dhabi and therefore their website had to be exceptional in terms of visual appeal without compromising on the user interface design and usability. 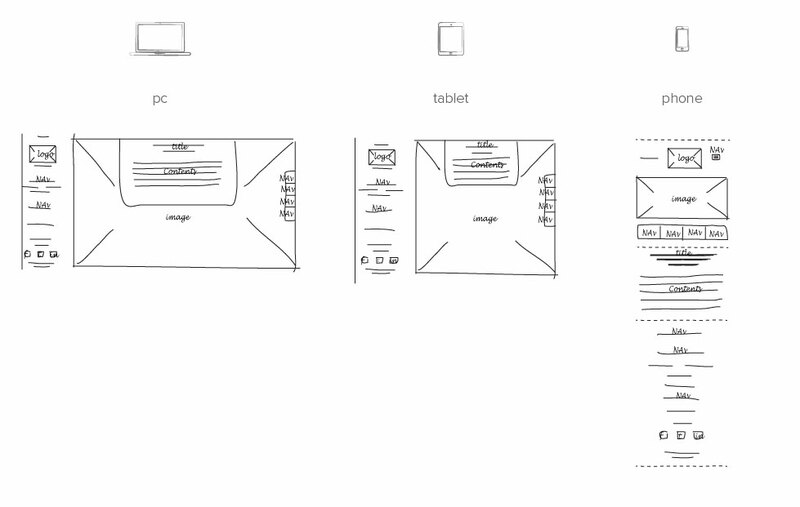 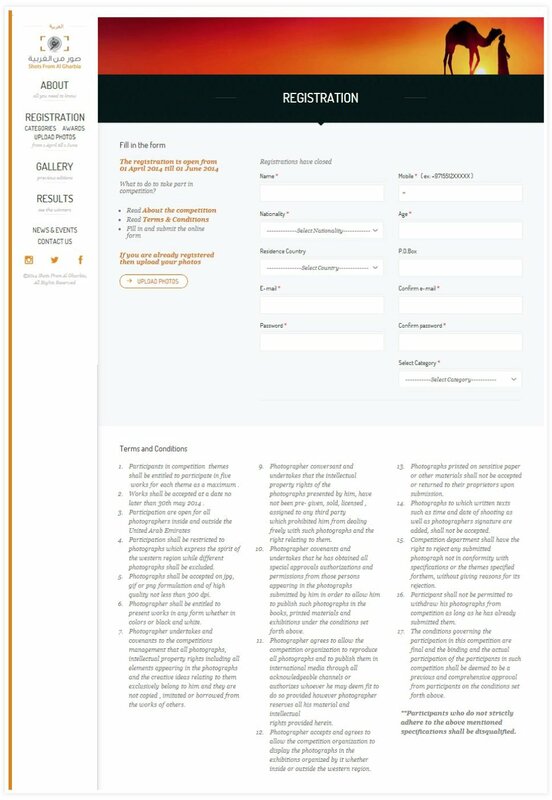 The homepage has a large carousel with stunning images and a very functional and appealing navigation menu. 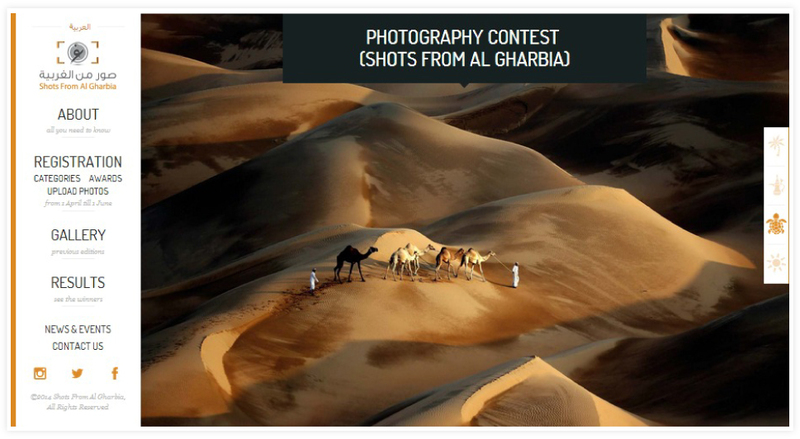 The carousal on the homepage has a dual role - to showcase the amazing photography and to clearly communicate what Shots from Al Gharbia is all about.